The rich, highly concentrated formula of the cream, by combining advanced active ingredients with modern biotechnology makes it possible to achieve excellent results in a short time, providing a very mature skin beautiful, fantastic look. Deeply penetrating component of the new generation of Tripeptide Son ®-Coll stimulates collagen synthesis, weakened by age, thus effectively filling and straightening all types of wrinkles, reducing their number, length, width and depth. Hyaluronic acid and elastin intensely moisturize and firm flabby skin from the inside, reducing visibility of even clearly marked lines and wrinkles. Minerals valuable to the skin: calcium, copper and silicon, with a unique combination of glycoprotein, strengthen and rebuild the structure of the skin, restoring its lost density and supportive abilities, as well as rejuvenate features and improve facial contours. Rich in omega-3 and omega-6 Omega Plus, the cream perfectly nourishes the skin and restores hydro-lipid barrier, weakened by age, combating the problem of excessive skin dryness and irritation associated with it. In addition, Centella Asiatica visibly rejuvenates the skin and improves its tone, inhibiting the formation of vascular lesions and UV filters effectively protect against harmful UVA and UVB rays, slowing the aging process. Recipe of the cream has been enriched with innovative Inulin, a prebiotic plant, which increases the effectiveness of the other ingredients as well as helps restore the natural physiological balance and has a beneficial effect on the condition of very mature skin. – younger-looking and radiant skin. 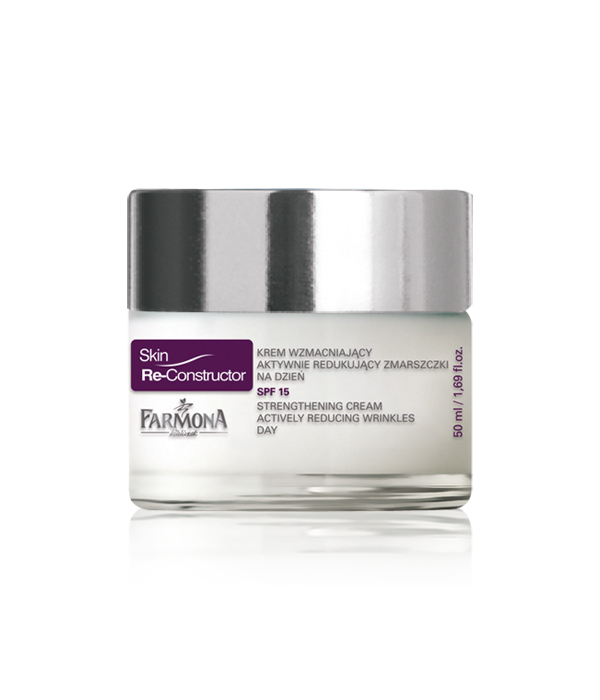 Apply the cream by gently massaging into the skin of the face, neck and décolleté. Apply daily. Tripeptide Syn-Coll ®, hyaluronic acid, elastin, calcium, copper and silicon with glycoprotein, Omega Plus, Centella Asiatica, inulin, UV filters. Aqua, C12-15 Alkyl Benzoate, Polysorbate, Cetearyl Alcohol, Ethylhexyl Methoxycinnamate, Glycerin, Helianthus Annuus Seed Oil, Propylene Glycol, Centella Asiatica Extract, Butyl Methoxydibenzoylmethane, Glyceryl Linoleate/Glyceryl Linolenate/Glyceryl Arachidonate, Palmitoyl Tripeptyde-5, Soluble Collagen, Hydrolysed Elastin, Caprylic/Capric Triglyceride, Glyceryl Stearate, Dimethicone, Octocrylene, Butylene Glycol, Saccharomyces/Calcium Ferment, Hyaluronic Acid, Panthenol, Saccharomyces/Silicon Ferment, Saccharomyces Copper Ferment Extract, Inulin, Parfum, Dmdm Hydantoin/ Methylchloroisothiazolinone/Methylisothiazolinone, Disodium Edta, Sodium Acrylate/Acryloyldimethyl Taurate Copolymer, Isohexadecane, Polysorbate-80, Peg-8/ Tocopherol/Ascorbyyl Palmitate/ Ascorbic Acid/ Citric Acid, Limonene, Linalool, Hexyl Cinnamal, Coumarin, Citronellol, Evernia Fufuraceae (Treemoss) Extract.